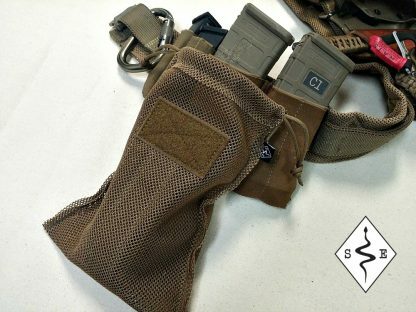 Dump pouches. The versatility of the dump pouch is amazing. Simply put, it is a big extra pocket. 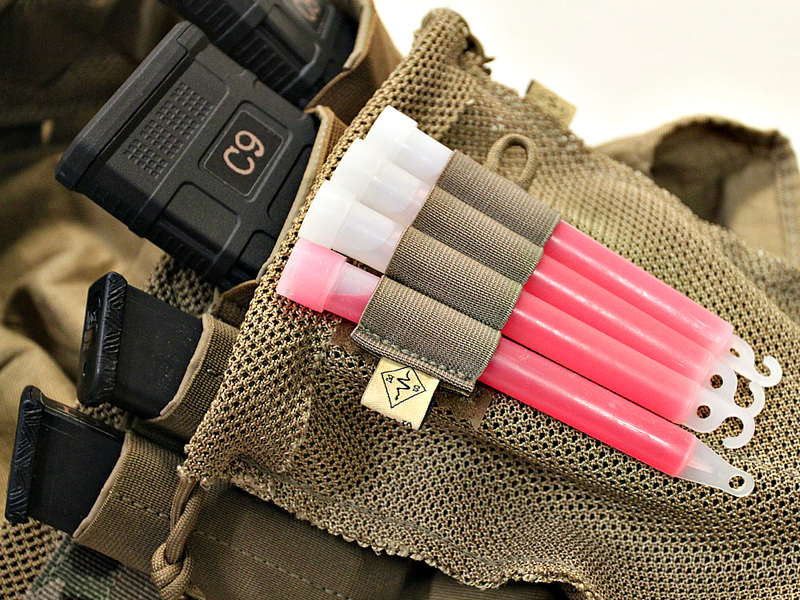 During tactical reloads, a dump pouch is the perfect place to put a partially spent magazine. It is still there if you need it, but it wont be confused for a full mag during high stress reloads. It can be used to police your brass after a range session. Carry extra water bottles or snacks. Use it to temporarily hold your watch cap or outer shell if the weather is changing often. 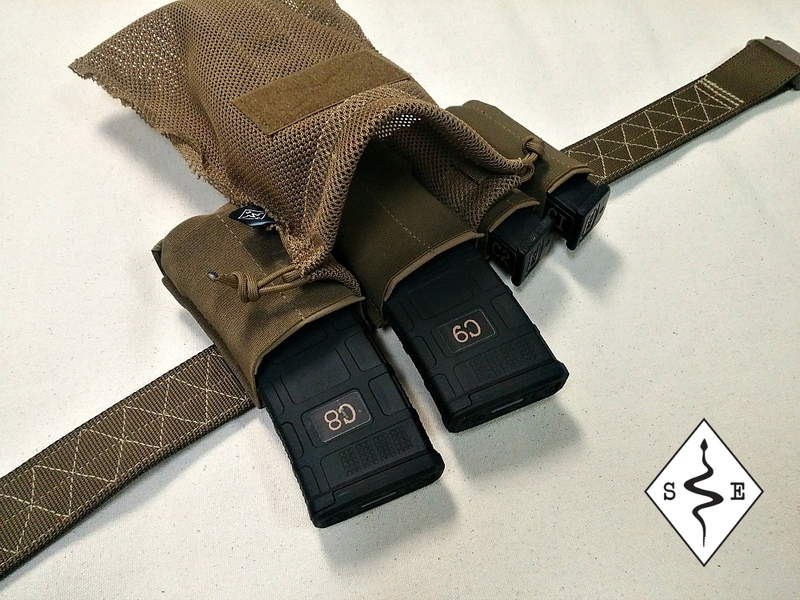 This pouch can be belt mounted with the included Onewrap belt loops. It can also be mounted to MOLLE with various attachment methods such as MALICE clips(not included). When designing a dump pouch, there is a tendency to make it bigger or more complicated than it needs to be. 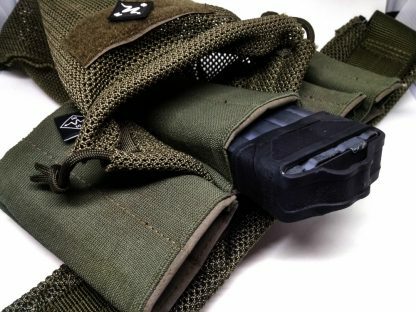 The Snake Eater Tactical dump pouch is a simple mesh pouch with a drawstring top closure. 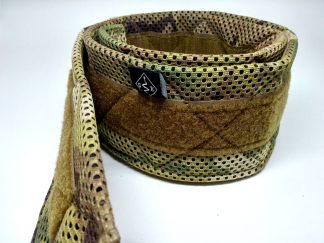 A piece of 1.5″ Scuba webbing is sewn down the inside to give it a little structure. 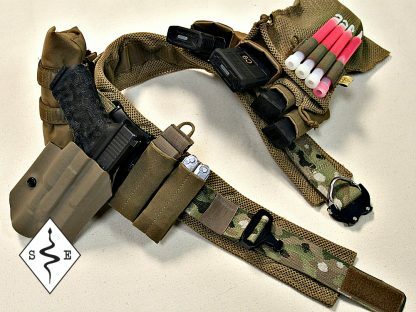 This helps prevent it from swinging around when full of mags or other items. 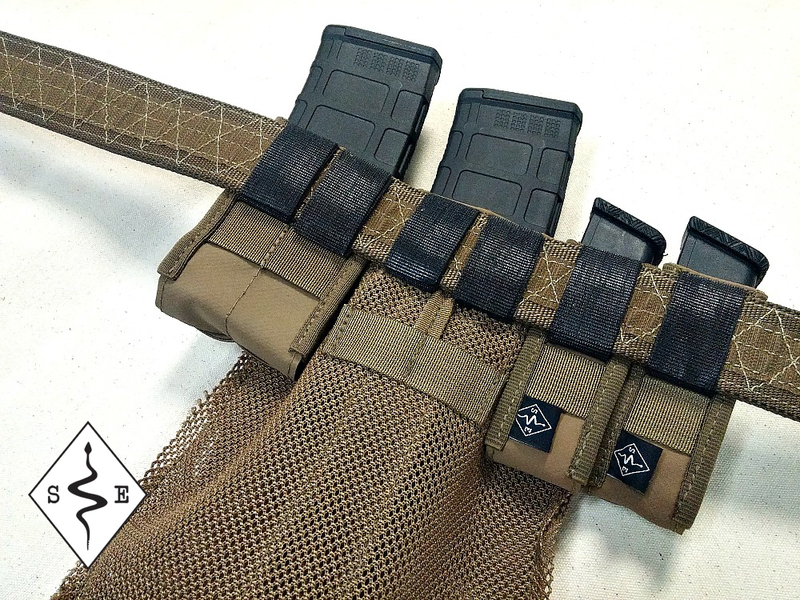 Our Dump Pouch is belt mounted with two double sided velcro keepers that are included. 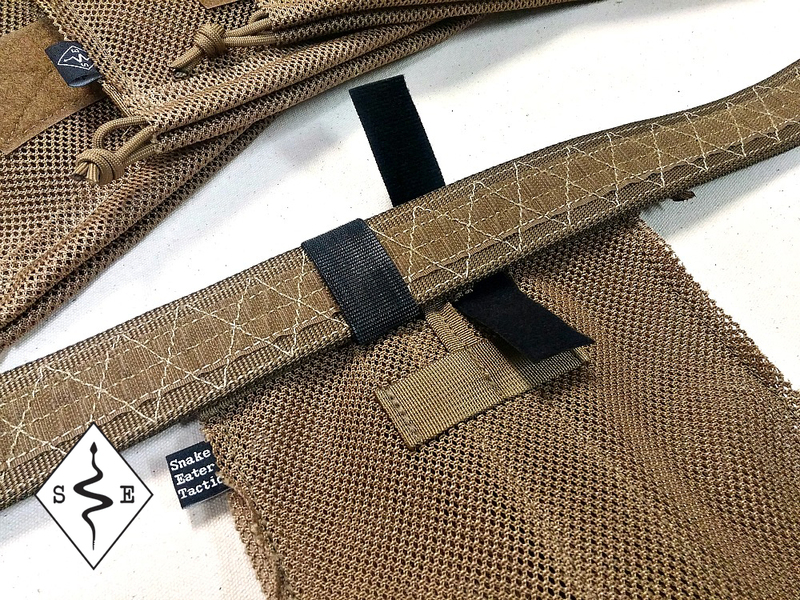 These keepers interface with the velcro inside your belt to hold it fast in place. It can be mounted to any MOLLE/PALS platform with small MALICE clips. 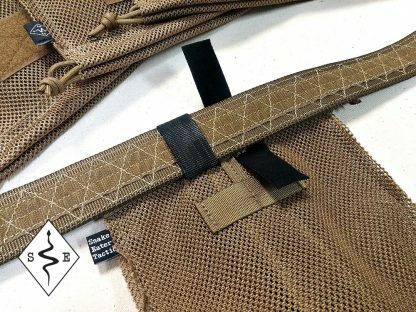 To save room on your War Belt, the dump pouch can be mounted behind our Rifle Burro. 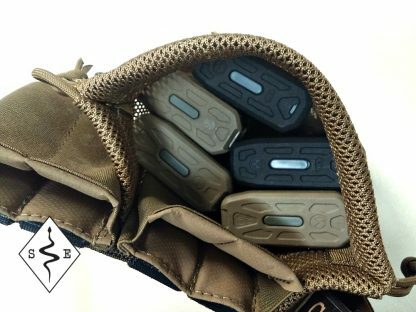 Holds 5 AR mags. The seam edges are intentionally left unfinished for a more savage look.